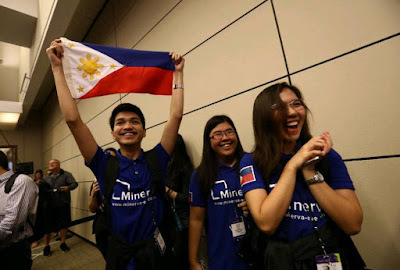 The young trio of Team Opticode from the Philippines participated and wowed audiences at the 15th annual Imagine Cup, the world’s premier student technology competition where students from around the world team up to solve some of the world’s biggest problems with technology. 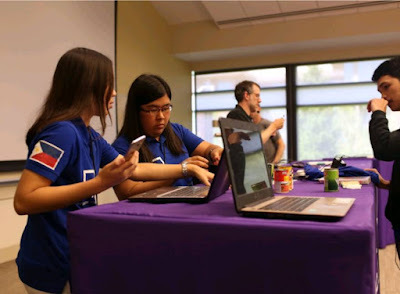 Considered the "Olympics of Technology" by computer science and engineering students, the Imagine Cup brings together student developers worldwide to help resolve some of the world's toughest challenges. They compete for the chance to win US$100,000 and a mentorship session with Microsoft CEO Satya Nadella. The Philippines was represented by Team Opticode which was composed of Christian Lou Cepe, Jasmine Pearl Raymundo, and Rochel Reyes. 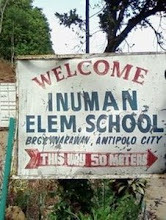 All of them are students of Lyceum of of the Philippines University-Laguna. Their mobile app, Minerva, a virtual assistant mobile application for the visually impaired that taps on the power of the smartphone camera to identify objects in the real world. Using various cognitive services running on Microsoft Azure, Minerva identifies objects in the immediate environment of users. A user can simply point their smartphone cameras at an object, say a pizza, and Minerva describes it using the phone’s speakers. The road to the top 10 in the world was a long one for Team Opticode, having to battle national and regional competition before qualifying for the final. They emerged as grand winners of the National Finals before winning second runner-up in the Southeast Asia Finals, besting 7 other ASEAN teams. “Team Opticode’s win at the Regional Finals was huge for the Philippines, as we hosted the first ever Imagine Cup Regional in the country -- in line with the ASEAN summit. The Philippines is home to a lot of great tech innovators and is primed for a win in this competition since 2010.” said Launay. 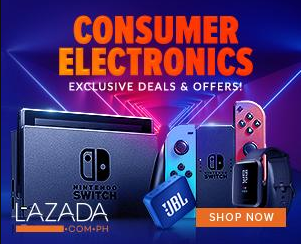 The Philippines is embracing digital technology. The strong showing from the young technologists from Lyceum in this year’s Imagine Cup showcases the growing talent in the country, that Filipino students can compete with the best in the world. The only other ASEAN team to finish in the top 10 of the Imagine Cup World Finals was Nepal. Hosted by Microsoft Executive Vice President of Cloud and Enterprise Scott Guthrie and judged by dozens of prominent judges over the course of the competition – from Microsoft corporate vice presidents and technical fellows to college professors and venture capitalists – Imagine Cup 2017 was a momentous occasion marking 15 years of uniting some of the brightest students in the world in their passion for innovation, creativity, and problem solving through technology. The 15th edition of the competition also saw many firsts. For the first time, Microsoft put together a great line-up of coaches who mentored the final four teams in real time to prepare them for the championship competition. These coaches all hail from different parts of Microsoft, and helped the finalists strengthen their tech, sharpen their onstage presentations and perfect their business pitches. In addition, more teams than ever this year represented some of the world’s most prestigious educational institutions, including the University of Oxford, the Massachusetts Institute of Technology (MIT) and the University of Tokyo. In all, 54 teams from 39 countries travelled to Microsoft headquarters in Redmond, Washington, to showcase their ingenuity in leveraging the power of modern technology to solve some of the world’s toughest challenges, including cloud computing, artificial intelligence, the Internet of Things, and virtual and mixed reality.